roswell. roswell, tv guide, ads. Wallpaper and background images in the Roswell club tagged: roswell. 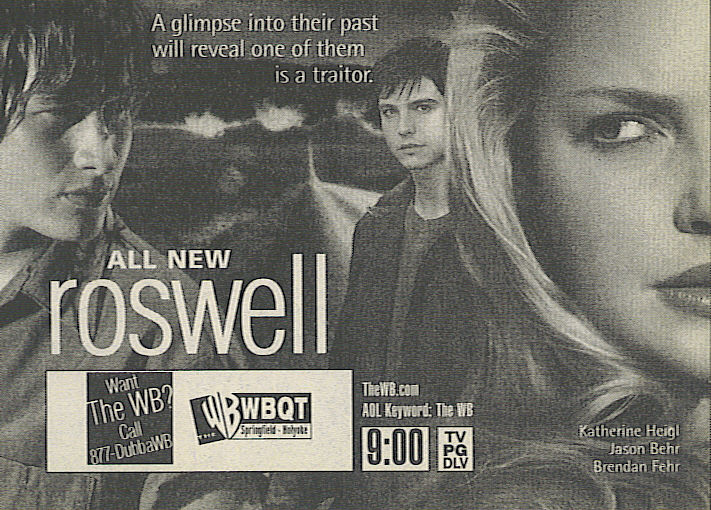 This Roswell photo contains anime, comic book, manga, and cartoon. There might also be sign, poster, teksto, pisara, pahayagan, papel, magazine, tabloid, and rag. Roswell Season 3 Episode 16 "Crash"
Roswell:Season 2:Episode 6:Harvest | Full Episode!